His Holiness the Karmapa, Ogyen Trinley Dorje, today delivered the inaugural address at the Global Buddhist Congregation’s section on “Environment and the Natural World.” Opening the daylong session, the Gyalwang Karmapa addressed a packed hall of hundreds of delegates gathered from 32 countries around the world. The Gyalwang Karmapa will also attend the closing ceremony, which will be presided over by His Holiness the Dalai Lama and joined by a suite of world figures. During his inaugural address, the Gyalwang Karmapa spoke on the underlying causes that have brought us to what he describes as a ‘critical juncture’ in the degradation of our natural environment. Among those causes, His Holiness focused on a virtual “religion of consumerism” and a persistent egocentrism that has led to an unhealthy relationship between human beings and their environment. Applying Buddhist principles of interdependence, compassion, and no-self, the Gyalwang Karmapa outlined a Buddhist response to the environmental challenge facing the world today. 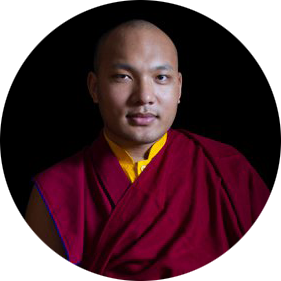 Over the course of the past five years, the Gyalwang Karmapa has taken an increasingly active role in championing an issue dear to his heart—the protection of the natural environment. Taking up a call that His Holiness the Dalai Lama has long urged, the Gyalwang Karmapa is emerging as one of the most vocal Buddhist environment leaders, speaking and acting on Buddhist principles of caring for the environment that supports the lives of all of us who share this planet. He has organized conferences, founded a region-wide an activist organization — Khoryug (the Tibetan term for Environment) — and contributed to various academic and scientific publications on the issue.